This article explains how to book Avios redemptions via Iberia Plus, and how you can save hundreds of pounds in taxes by doing so. When an Avios collector in the UK looks for a long-haul redemption, British Airways is the obvious choice of airline. However, the taxes and charges can often be very high – around £550 per Club World seat flying east, and around £650 flying west. One way around the taxes problem is to redeem on Aer Lingus, the subject of a future article. Often overlooked in the hunt for low taxes, though, is BA’s sister company Iberia. Taxes on Iberia flights are often a fraction of those charged by British Airways. Iberia has extended its UK connections network. You can fly from Manchester, Birmingham and Edinburgh to Madrid with Iberia Express, which makes it a lot easier to use Avios to connect to an Iberia long haul flight. There are also plenty of budget airline options. Iberia has been through a substantial restructuring since being bought by IAG, the parent company of British Airways. To IAG’s credit, Iberia has been turned around. 16 new long-haul aircraft – 8 x A330’s and 8 x A350’s – have been delivered or are on order for delivery by 2020. There is a decent new business class seat, with an even better version on the A350 (see my Iberia A350 review) and the long-haul network is expanding again. The great news is that the new destinations being added are places you would actually wants to visit such as Tokyo, Havana and San Francisco. Avios demand for Iberia’s historical routes to places like Medellin, San Salvador and Managua was probably lower. All of these are flown from Madrid. Note that some of the African routes are served with short-haul aircraft. Iberia has no First Class. I flew this on a Madrid to London flight as you can read (and see) here. 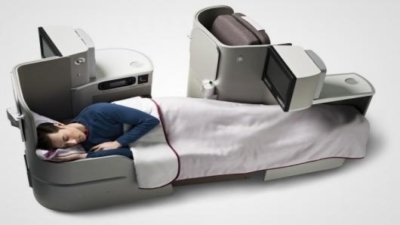 Iberia runs a few London to Madrid services a week with long-haul aircraft and flat beds in business class because it needs the cargo capacity offered by the bigger aircraft. The new A350 version has a few tweaks which make it even better. The charts are nearly the same, but not quite. There are not many destinations which are served by both BA and Iberia, of course, so the opportunities for arbitrage are limited. You also need to factor in the cost and time of getting to Madrid, although if you live outside London it is not massively more complex than changing planes at Heathrow. 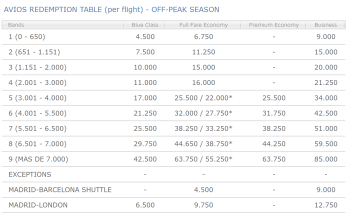 You can compare it with the British Airways peak and off-peak chart in this HFP article. 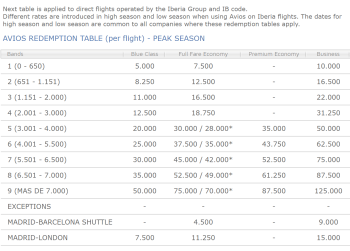 For clarity, the Iberia peak and off-peak chart is used even if you book an Iberia redemption via ba.com. It isn’t exclusively for redemptions booked via Iberia Plus. And that’s before you factor in the massive difference in taxes …. 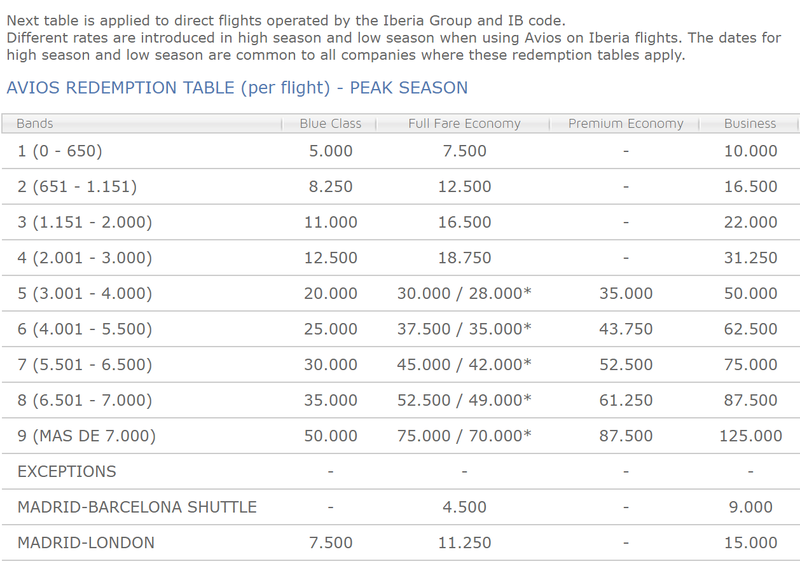 Iberia Plus does not charge the full range of airport taxes and fuel surcharges imposed by ba.com. 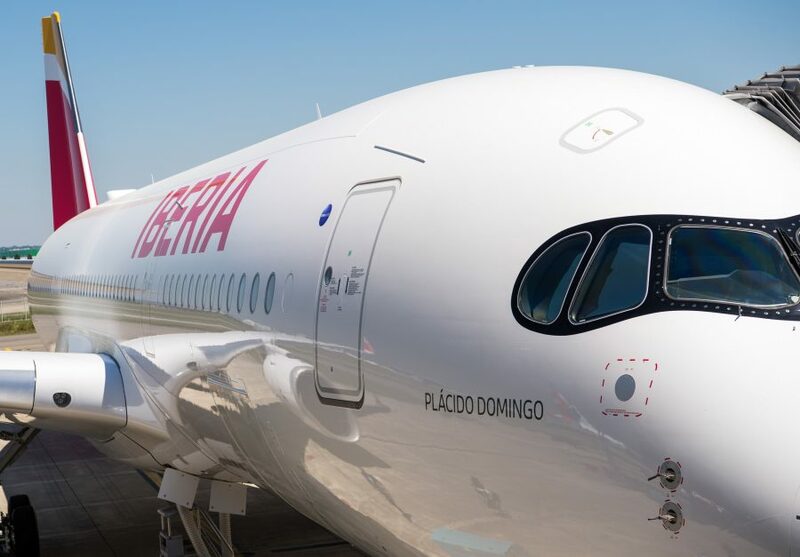 This is a BIG thing and the main reason – as well as the better seat and potentially lower number of Avios needed – to consider Iberia seriously. Let’s look at Madrid to New York in Business Class, return. Iberia, when you book on iberia.com, will charge 68,000 Avios plus £155 return on an off-peak date. A BA redemption from London to New York (via ba.com on a BA plane) on the same route in Club World costs 100,000 Avios plus £667 on an off-peak date! That is, by any stretch, a big difference. It makes it well worth heading to Madrid to start your trip if you are price concious. More interestingly, if you try to book the identical Iberia Madrid to New York flight on ba.com using BA Avios, it will charge you £382 of taxes! This is for the SAME Iberia flight which costs only £155 of tax on iberia.com using Iberia Avios. From the UK, you need to fly to Madrid. However, if you are not based in London you will be taking a connecting flight anyway. And the saving probably justifies not flying direct from London. The London to Madrid flight cannot be booked on the same itinerary as the Madrid to New York flight or you will be obliged to pay UK Air Passenger Duty at the long-haul rate. Since you will have separate tickets, IB is not obliged to look after you if you miss your long-haul flight – although if you fly IB from London, it is very unlikely they would abandon you if the delay was down to them. Note that, to get the £155 of taxes for Madrid to New York in our example, you must book on the Iberia website and use Iberia Avios. If you try to book this itinerary on the BA website, BA will add fuel surcharges and other ‘random stuff’ which adds up to £382. This means that you need to open an Iberia Plus Avios account. Your IB account also needs to have had an Avios earning transaction put through it. You cannot move your BA Avios into an Iberia account, even if it is 90 days old, if the Iberia account has never had any activity on it. You need to credit a flight segment or a car hire or a hotel stay to class it as ‘active’ and thus qualifying to receive incoming Avios transfers. If you cannot put a flight or hotel stay through it, you could transfer some existing hotel points or American Express Membership Rewards points. 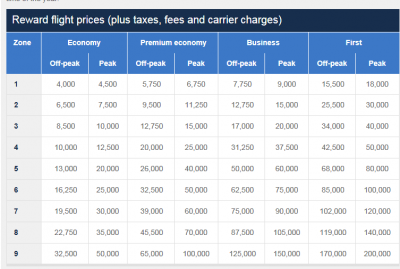 Even if you aren’t convinced to book via Iberia Plus to save money on taxes, you should also note that economy class Avios availability is better on iberia.com compared to ba.com. 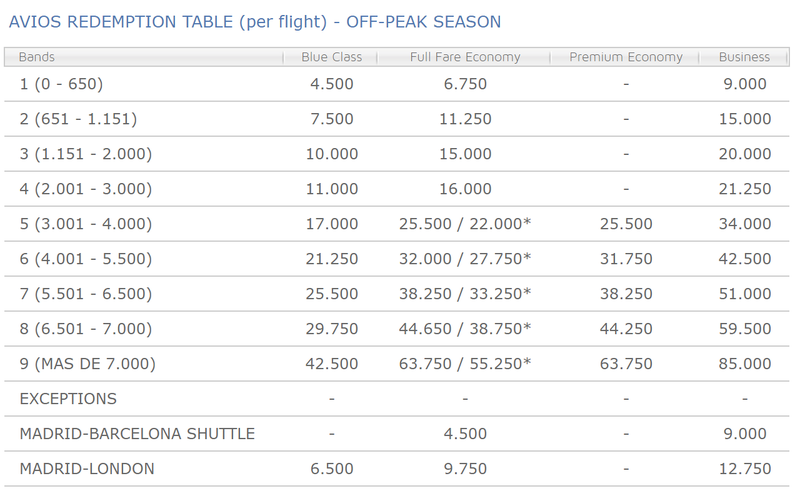 There no longer appears to be much difference in business class availability. There is no doubt that redeeming Avios points on Iberia is confusing if you are used to the British Airways system. 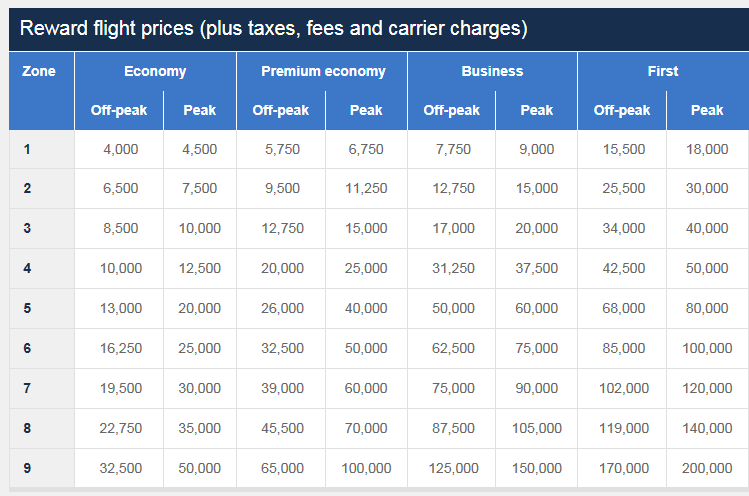 You need to get your head around the different peak and off-peak dates as well as remembering that using Iberia Plus will give you a lower taxes charge. You also need to ensure that any new Iberia Plus account you open is ‘activated’ via an earning transaction and that you have opened it 90 days before you need it. The bottom line, though, is that you can make substantial savings in tax – and sometimes in Avios too – if you are willing to fly the much improved Iberia business class instead of British Airways Club World. Feel pretty stupid – I too had a figure of c.£550 for BA longhaul club return. Thought it was increasing to c.£620 for first to US. Planning LHR – JFK then MIA – LHR. Going to be about £1000! You can book an open jaw and it will only be £650.